In move that is sure to have still-spurned Google TV users spitting out their morning coffee, Hulu Plus for Android and the iPad now has Chromecast support. (Hey, I warned you). Google and Hulu made the announcement early Tuesday and promise that iPhone support is coming soon. With the new functionality, Hulu Plus subscribers can send whatever they're watching on their tablet or Android smartphone to any television with a Chromecast device plugged into the back. 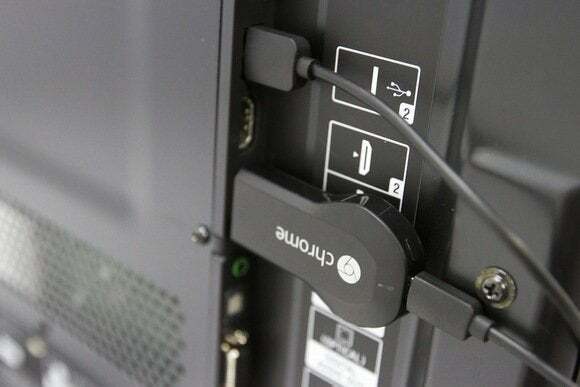 Using Hulu Plus with Chromecast was possible before Tuesday’s announcement by streaming from the Chrome browser on a PC—a feature still in beta. Without a speedy enough home network, however, the experience is not great. Hulu Plus getting onboard with Chromecast comes three years after Hulu—along with every major American broadcast network—refused to play nice with Google TV. Google TV is the search giant’s first attempt at a Web-meets-TV platform that was supposed to let you view your favorite shows through regular TV or from a provider’s Website. Google's Chromecast hooked up to a TV. Most broadcasters were spooked by Google TV when it first showed up in 2010 and moved to block the platform from accessing video streaming features from their sites. That Google TV ban is still in effect today, requiring Google TV users to find workarounds such as the PlayOn service to access online content from Hulu and the television networks. The assumption at the time was that the networks, many of whom have a stake in Hulu, didn’t want to endanger their lucrative advertising business from terrestrial broadcasts. Those broadcasts rely on big audience numbers that could be diminished if people started using their TV to watch online content. But times change, and with the popularity of set-top boxes like the Roku and Apple TV, along with built-in apps on Smart TVs, watching online content in the living room is now simply impossible to ignore. Chromecast may also be less objectionable than Google TV since developers have to build Chromecast functionality into their apps. That gives content companies more control over how their content is consumed. Whatever the reason, does Hulu’s Chromecast alliance foreshadow support from other apps from major television producers such as HBO Go, Watch ABC, and NBC for iPad? Rumblings that HBO was working on Chromecast support surfaced in early September along with rumors--now proven accurate--that Hulu Plus would support Chromecast. If Chromecast gets a further boost from content producers, it certainly gives Google even less incentive to continue developing Google TV. But at least Google TV users can take heart that Google has said it plans to bring casting to its original television platform. 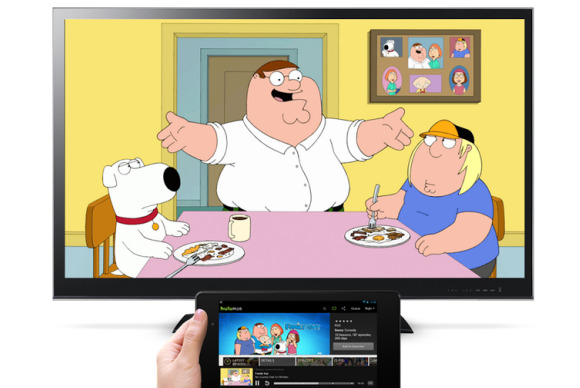 And if that happens, Google TV fans will finally have an easy way to watch Hulu Plus on their devices.